Extra Space Storage and PGIM Real Estate have snapped up two more of LSC Development’s self-storage properties, for a total price tag of about $114.2 million. The most recent buy was for a $43.3 million, four-story facility at 976 Cypress Avenue in Ridgewood, according to property records filed Tuesday. 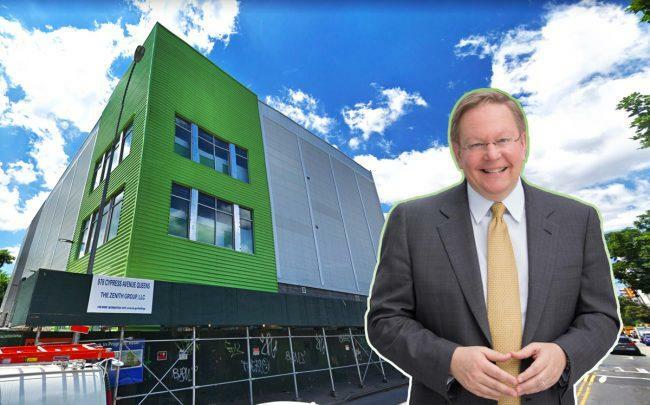 And last month, the self-storage REIT and PGIM, the real estate investment arm of Prudential Financial, dropped roughly $70.9 million for another five-story building at 1320 37th Street in Borough Park. Extra Space did not return messages seeking comment, PGIM declined to comment and Christopher Barry, LSC Development’s owner, was unavailable for comment. The two properties are new. LSC Development, an Illinois-based builder, filed an application to build its Borough Park project, which spans about 118,000 square feet, in 2014. The developer filed applications to construct the Queens site in 2016. It’s not the first time LSC Development has sold self-storage assets to the firms. In 2017, PGIM and Extra Space bought the 39,200-square-foot 950 Georgia Avenue from LSC Development for about $25.9 million, according to property records. Extra Space and PGIM have long partnered in the self-storage space and have a joint venture. In 2005, the two linked up to acquire Storage USA for $2.3 billion from a division of General Electric Corp.